Vacation homes, condos, townhouses and villas in Mexico are the perfect place to spend your next retreat away from home. Vacation Rentals in Mexico provide amazing beaches and warm ocean waters, beautiful mountains, jungles and volcanoes are just a few of the areas visited. There are also several busy towns and cities attracting tourists throughout the year. Your beachfront vacation rentals will be found at the Pacific Coast, Caribbean, Baja Peninsula, Yucatan and Banderas Bay. Activities are abundant in Mexico from observing whales and dolphins, snorkeling, scuba diving, swimming, riding bikes in mountains, wildlife viewing and fun beach activities. Shopping enthusiast can enjoy the large selection of stores and shops. Local arts and crafts is popular choice for many of the visitors. The nightlife away from your Mexico vacation rental offers clubs, great dining and other activities. 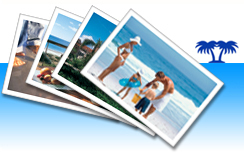 If you are ready to find that perfect Mexico Vacation Rental, ivacationonline.com is your source for rentals by owner. Ourvacation rental management softwareallows you to book your favorite villa, condo or home rental in Mexico. Once, you have found the unit of choice, your just a few minutes away from having your next retreat away from home booked. Mexico has amazing places to stay, providing you a vacation to remember forever.